Thank you for volunteering for Tour the Hills in support of Cancer Assistance Services of Halton Hills! We appreciate your time and support with our cycling event – we can’t do this without you! Pick up cyclists that cannot ride anymore or need assistance. Must use own vehicle and have a bike rack. Drivers will be compensated for mileage for that day. Help with rest stop set up, food preparation, and tear down. Be at the front lines of operation, engaging with riders as they enjoy a much needed break. Direct riders in the right direction, help riders cross intersections safely, maintain course safety at your designation interaction. (Must be over 18 yrs of age). Help the participants with their bicycle parking and checking baggage. Greet the participants and be the first line of contact for any. Volunteers will receive a T-shirt, food and refreshments for volunteering at our event. For more information email cashhtourthehills@gmail.com or call the CAShh office at 905-702-8886. Volunteering is an amazing way to give back to your community – thank you! 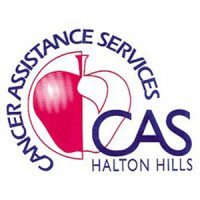 Tour the Hills is a fundraiser organized by Cancer Assistance Services of Halton Hills (CAShh).